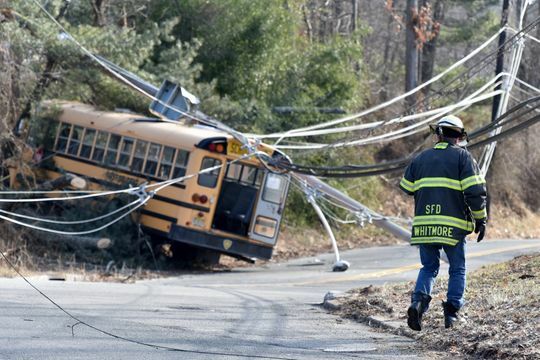 A school bus in Long Hill, New Jersey, crashed into a utility pole and caused electrical lines to fall on top of the vehicle, reported the Daily Record. Eight elementary school students and the driver were safely removed with no injuries. The bus driver was reportedly taken to the hospital for evaluation, due to company policy. The students and driver remained on the bus until being told it was safe to exit by official personal. The accident caused two power outages in the area. The bus driver reportedly told authorities that she remembered turning left but not how the crash occurred.